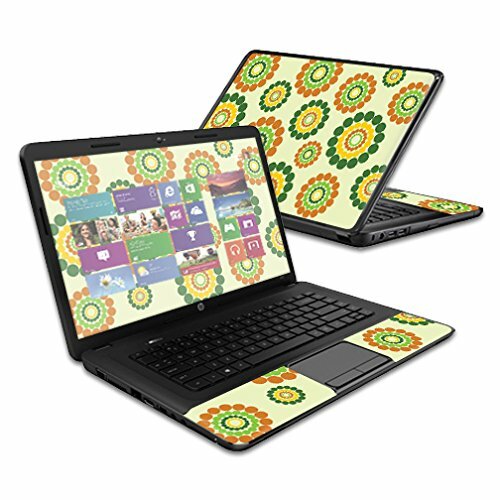 MightySkins Protective Skin Decal Cover for HP 2000 Laptop (Released 2013) 15.6'' wrap sticker skins Flower Power by MightySkins at Pacs BG. MPN: HP2000-Flower Power. Hurry! Limited time offer. Offer valid only while supplies last. Give your HP 2000 a stylish look and protect it from abuse at the same time. Forget about bulky cases that make your HP 2000 look thick and fat. Give your HP 2000 a stylish look and protect it from abuse at the same time. Forget about bulky cases that make your HP 2000 look thick and fat. MightySkins hardly adds any volume to your device and creates a whole new look that sets you apart from the crowd. Mightyskins also provide basic scratch protection to keep your device in prime condition at all times. This HP 2000 Skin features an ultra-high inks and then covered with a clear protective layer for ultimate durability. All MightySkins use a patented repositionable and removable adhesive for fast and easy installation and goo-free removal. This skin set includes skins that cover the top, around the keyboard and a free wallpaper download for the screen for maximum impact. HP 2000 is not included.